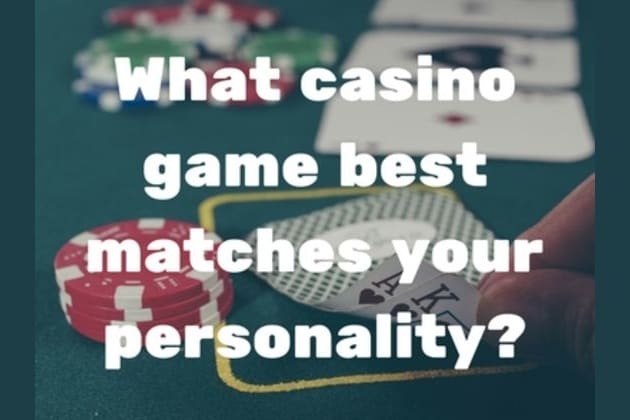 What kind of casino game best matches your personality? What is your favourite game to play in the casino? Which of these non-casino games are you best at? Do you cheat at cards? Which vintage computer game are you still playing? Which celebration is more fun? You're on a roll - What's your next move? Go again , I can feel a big win coming on! Simplicity is your mantra. Why waste time going for the long game when you can have a few quick spins on the slots before cracking on to something else. Perhaps you don't like commitment and loathe getting your time wasted or maybe you just get bored too easily. Call it what you like , 21, pontoon , this games means you're willing to take the occasional chance even if it is obvious you have a winning hand. You love to take comfort in the familiar but aren't afraid of crossing over to the danger zone. At least you've taken a shot. You're a lunatic and ultimate risk-taker. Your philosophy is that the biggest chances reap the biggest rewards. You're prepared to stick everything on chance and take hefty risks. Can't decide what to play when your at your Online Casino - Let your personalty do the work ! Take the quiz to find out!